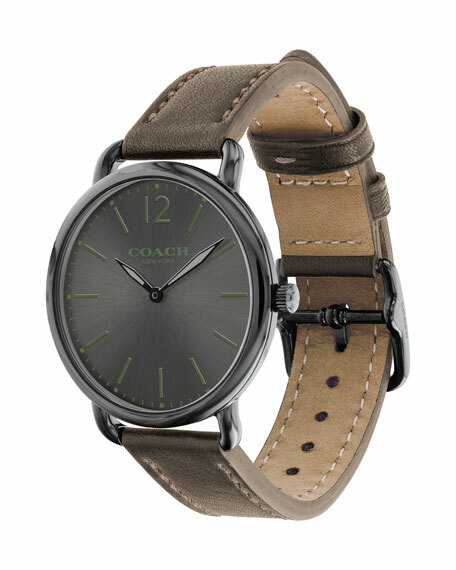 Coach men's classic watch from the Delancey Collection. 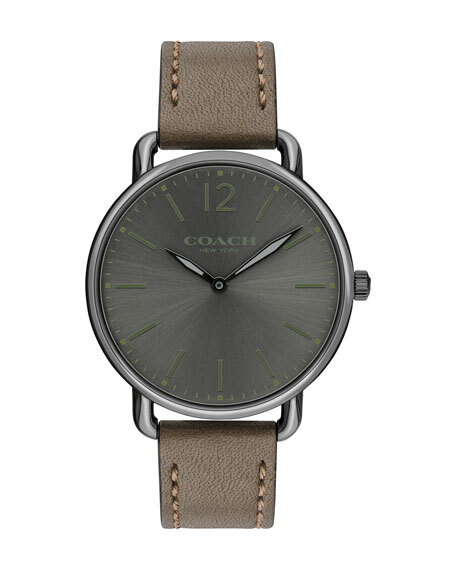 Topstitched fatigue leather strap with buckle. Gray dial with Arabic numeral, hour markers, and luminous hands. 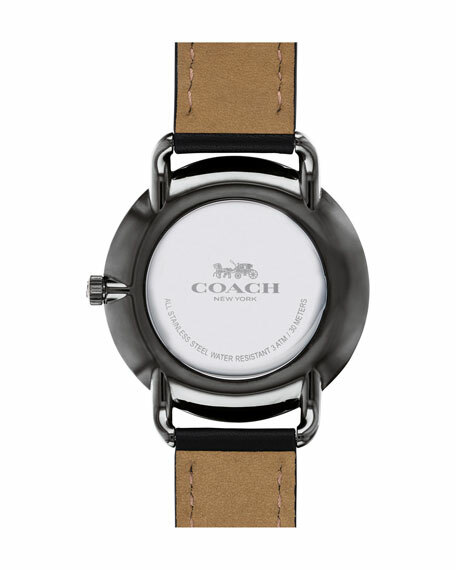 Water resistant up to 99 feet. For in-store inquiries, use sku #2458278.